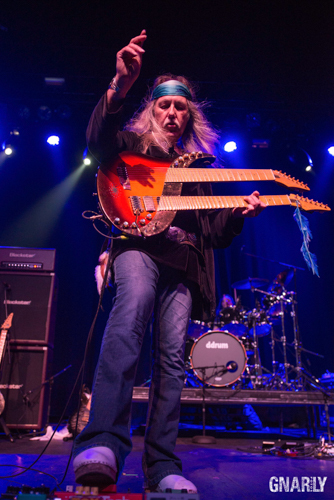 KNAC.COM - Reviews - THE ULTIMATE GUITAR EXPERIENCE In CA W/Photos! 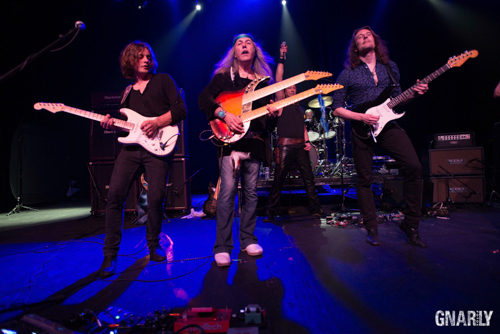 THE ULTIMATE GUITAR EXPERIENCE Featuring Uli Jon Roth, Jennifer Batten And Andy Timmons In Ventura, CA With Photos! 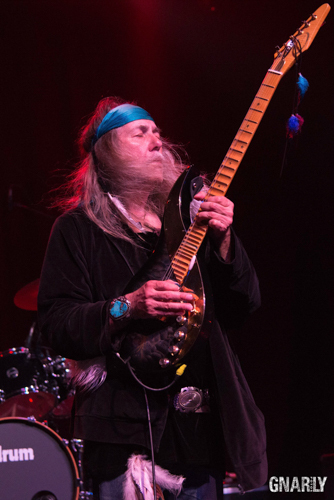 The concert-goers who were at the Majestic Ventura Theater last Thursday night might all agree that The Ultimate Guitar Experience was aptly named. 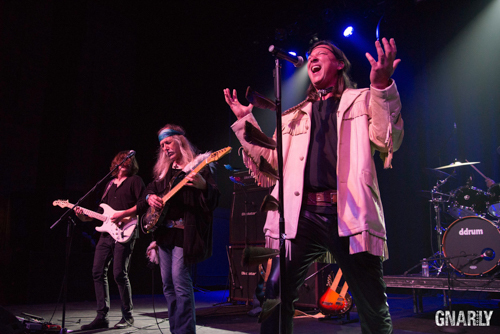 On the first night of three Southern California dates, each of the three acts showcased their incredible talent for a show that lasted just over four hours. 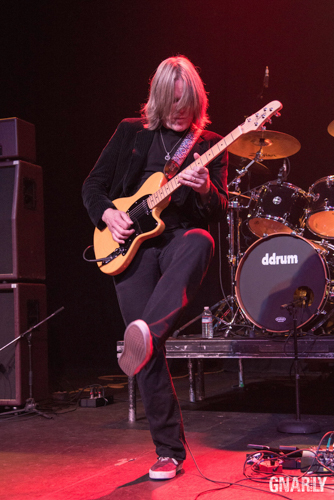 Andy Timmons presented a stellar performance to the small audience, which didn’t exceed two-hundred people. 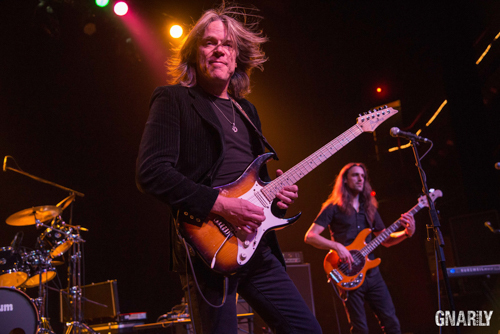 After a few songs, the ex-DANGER DANGER/ANDY TIMMONS BAND guitarist dedicated several minutes of his performance in tribute to BEATLES producer George Martin, who died two days before. 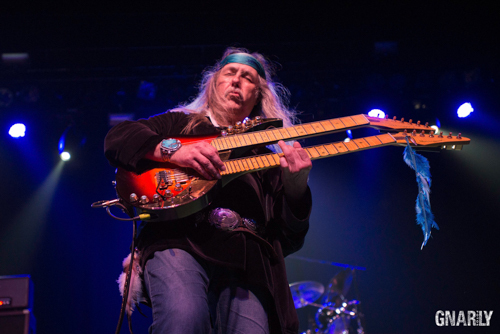 Timmons presented a moving instrumental of “Strawberry Fields Forever” that seemed to stun the audience, many of whom had a “Has this guy been hiding under a rock?” look on their faces. 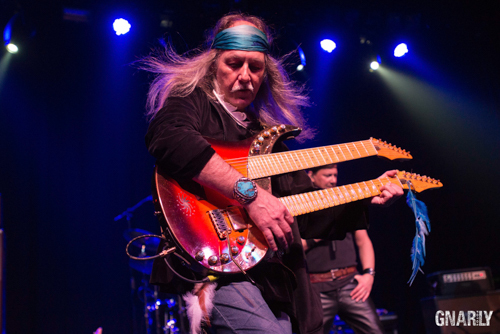 A true showman, who gives his all, Timmons executed a string of instrumentals taken from his own solo discography, which included “Electric Gypsy” and “Cry for You”. “How ‘bout that Mr. Timmons? 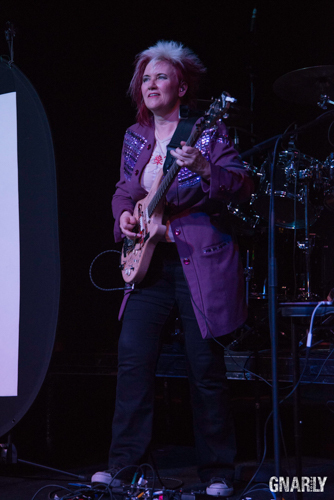 Did he melt your face off or what?” Jennifer Batten exclaimed as she took the stage. 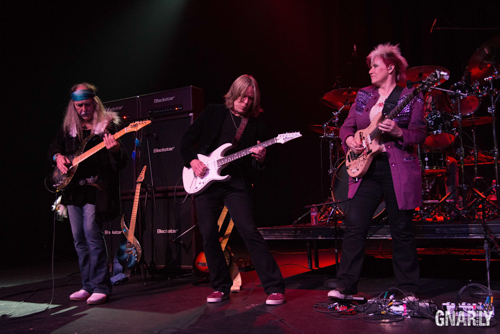 Like Uli Jon Roth and Timmons, Batten’s resume is staggering, having recorded and toured with Jeff Beck, as well as Michael Jackson’s touring lead guitarist. 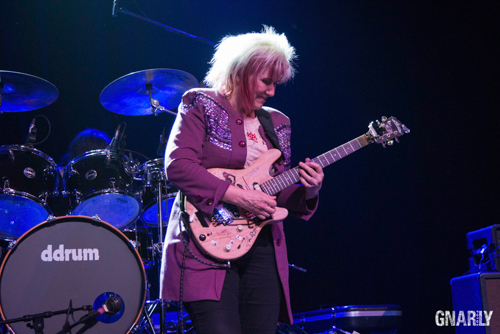 Batten, a one-woman band, demonstrated her characteristic technical prowess, but was nearly immobilized to one area of the stage where her pedals and effects were affixed. What she lacked in physicality, though, was compensated by her extraordinary playing. 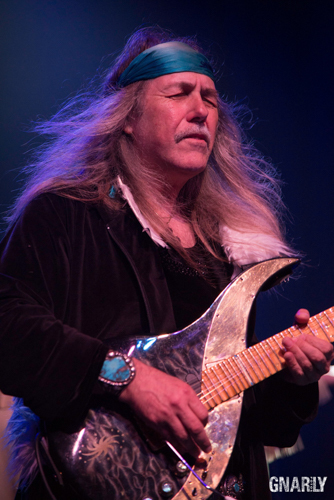 The veteran guitarist played a retrospective medley of songs from the ‘60s up to modern day, which included THE VENTURES “Walk Don’t Run”, Robin Trower’s “Day Of The Eagle”, NIRVANA’s “Smells Like Teen Spirit”, and the scorching solo from Michael Jackson’s “Beat It”. 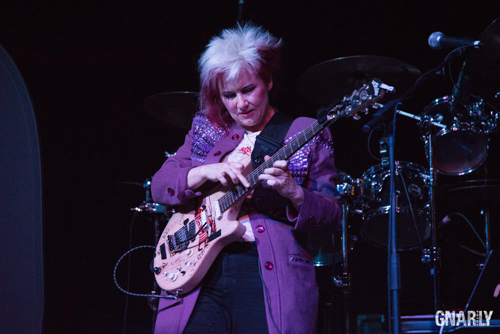 Her version of “Nadia”, a song she recorded with Jeff Beck in 2001, from the You Had It Coming album, was a stunner. 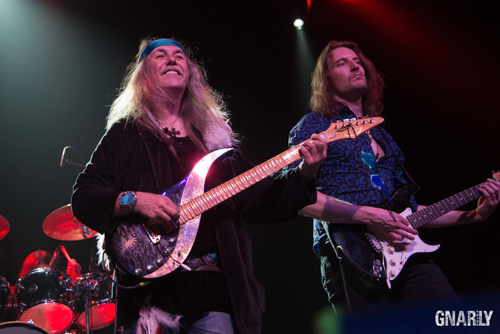 When the Uli Jon Roth band came onstage, the energy rose at once to an even higher level than where Batten and Timmons had set it during their performances. 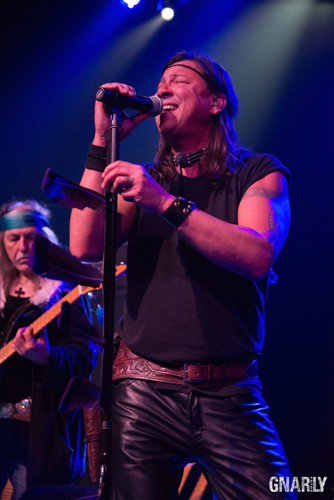 Considering the sparse attendance, the cheers were proof that the people were there to see the Roth, who came to prominence with the SCORPIONS and ELECTRIC SUN, and has gone on to enjoy a successful solo career. 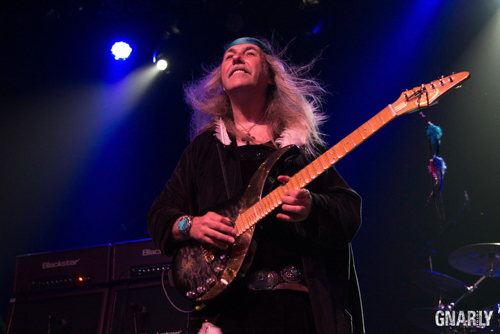 Roth’s set was a combination of songs from his extensive catalog, including the recent Scorpions Revisited and Transcendental Sky Guitar albums. 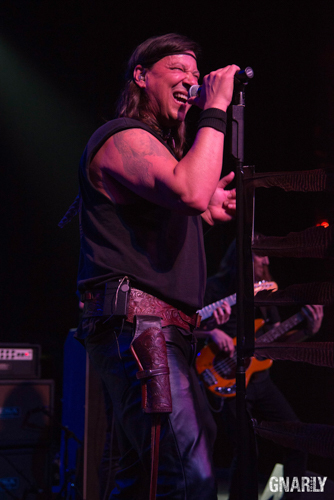 An imperfection to an otherwise perfect set was that singer John West’s vocals were sometimes inaudible in the front part of the venue. That issue was never entirely resolved, though some moments were better than others. 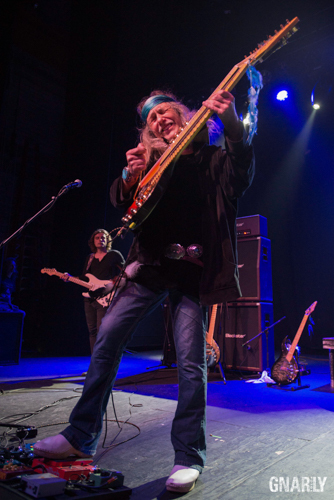 Even when he wasn’t playing, Roth’s energy and the effect he had on the audience was undeniable. He engaged with his smile before he scorched with his incendiary guitar licks. 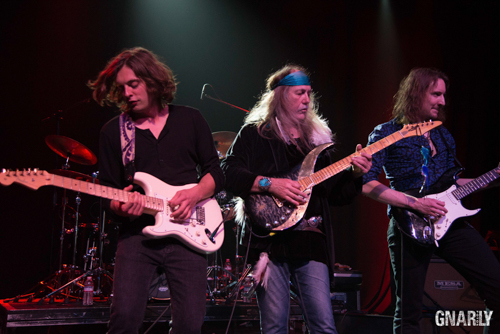 Batten and Timmons joined Uli and his band for the last three songs of the evening: “All Along The Watchtower”, “House Of The Rising Sun”, and “Little Wing”. 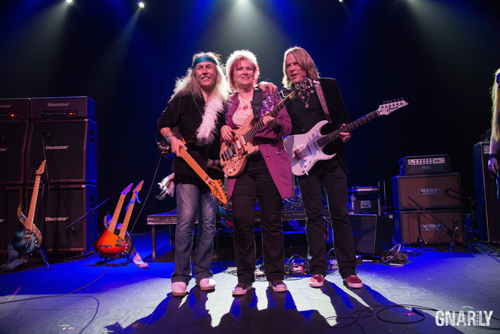 The three greats played exceedingly well together, trading solos, riffing off of each other’s parts, and making it all look like boundless fun.